Holiday cottage with a stunning view. Water's edge Dale, Pembrokshire. 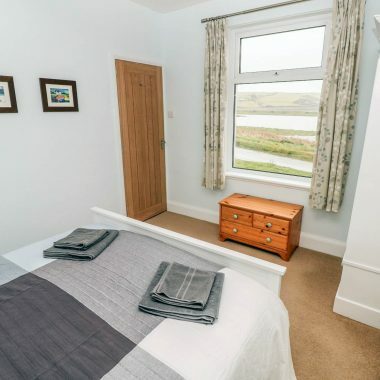 Located in Dale within beautiful Pembrokeshire Coast National Park with the sea meters from the door and amazing views Water’s Edge Dale might well be the holiday cottage you are looking for. Why would you choose this holiday cottage? It is not only the the location that make our property worth a visit. We have been working hard to make it as comfortable as possible for our guests. The cottage has a large enclosed garden and patio. It also has a glass fronted balcony to the rear with sun-loungers so you can enjoy the evening sun. From the front bedroom you can see straight out over the sea and enjoy the Sun rise. There is a wood burner to ensure it stays warm and cosey. The cottage uses green power from Bulb because of this we can now say we are 100% green. The holiday cottage has everything you need to make your stay as relaxing as possible. There are two bathrooms with showers. The upstairs one being en-suite and the downstairs one newly refurbished in November 2017. More change have been made for 2019 most importantly we are happy to say we are now dog friendly. If you want more information of places you and your dog can both enjoy checkout Dog Friendly Holidays in Pembrokeshire. Our holiday cottage has three bedrooms and sleeps 6. On the top floor it has a double room with a large en-suite. This room also has access to the balcony. On the ground floor there is another double bedroom looking out over the sea and the Gann estuary. 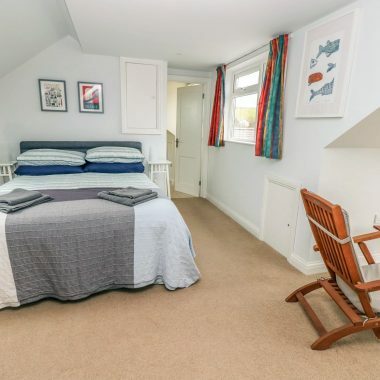 The final bedroom is a twin, to the rear of the holiday cottage. Why choose a holiday cottage in Dale? 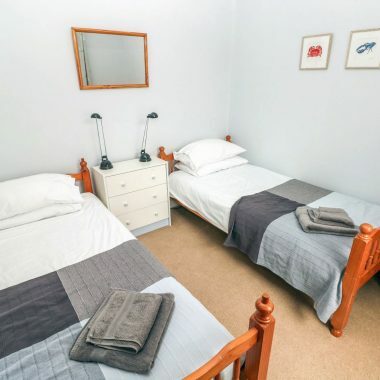 Set in the the Pembrokeshire National Park, Dale is a great place to stay if you want to explore this part of Pembrokeshire. Or maybe you just want to relax watch the wildlife, spend sometime on the beach. Dale has all of this on it’s door step. Not forgetting the coastal path and the Griffin voted the best seafood pub in Wales! 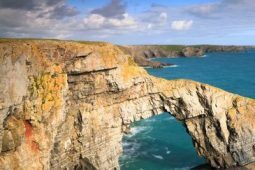 New to Pembrokeshire? 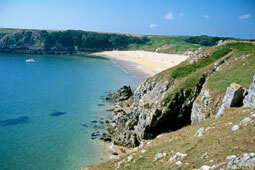 Have a look at Visit Pembrokeshire for ideas of things to do during your stay. 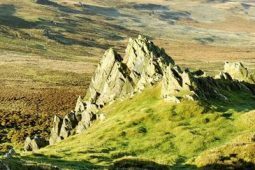 Fancy doing some walking checkout the guardians list of the top walks in the area? 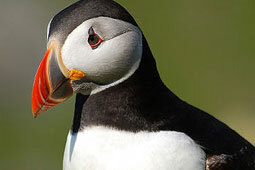 If you don’t want to do a circular route take advantage of the excellent Puffin Bus Service. A guide of the best beaches in Pembrokshire can be found here many of them are just a short distance from our property! The Pembrokeshire Coast National Park has something for everyone, rocky coves and award winning beaches set in its stunning coastline. You can simple relax in the unspoiled beauty or if you fell more adventurous you could explore the area by bike, boat or on foot. Whatever takes your fancy. You won’t be disappointed Pembrokeshire has lots to offer in its own laid back way. Want to have a quick look round? Sleeps 2 with room for a cot, Kingsize Bed. Sleeps 2, King size double bed. Come in the Spring and autumn to see the migrating birds on the wetland in-front of our property. Or come in September when you might even see a super pod of dolphins in St Brides bay where the numbers can get up to 1000 individuals. You can eat out at the award winning Griffin Pub in the village, a short walk from the property. Or you can buy fresh local shellfish from a cottage a couple of hundred meters up the road. Pembrokeshire is also famous for its Lamb, Beef and of course New potatoes. Waters Edge is an ideal base for exploring the Pembrokeshire coastal path. If you just want to try it you can do the loop around St Ann’s head from the cottage. This walk takes in many beautiful coves and also the Griffin! Why not visit Pembrokeshire between April and June to see the Cliff top and hedgerow flowers at their very best.